1) How are BABY SKATES sized? 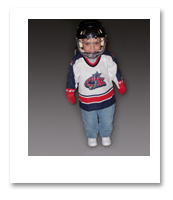 – Our BABY SKATES are not a special Hockey or Figure Skate size, they are sized just like regular shoe sizes. 2) How can I find out about more information about the sizes of BABY SKATES to choose from? 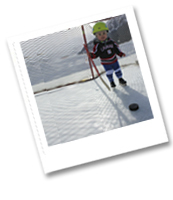 – You can go to the following page Sizing Help (here is a link) http://www.babyskates.com/baby-skates-sizes.php and print all of our sizes, get size conversion information and measurements. .
3) Where can I go to print all of the BABY SKATES sizes? – Go to the Sizing Help page (here is the link) http://www.babyskates.com/baby-skatessizes. php and go to the top table and click on the orange colored footprint in the circle image. It will then pop up the information you need to print and size your little ones. So simple and really fast! 4) Where can I locate a conversion chart of sizes for BABY SKATES? – Go to the Sizing Page and scroll down to the (2nd table) on page. All size conversions are available there. 5) How should BABY SKATES fit our little one? – Just like a regular shoe, you do not need to get them super tight or way too big. A little room to wiggle in would be fine and give them time to grow into them. 6) Does BABY SKATES come in half sizes? – BABY SKATES come in whole sizes only. All BABY SKATES are designed to stretch and grow with your child overtime, they will stretch anywhere from a (1/2 to 3/4) of a size. Folks get plenty of time out of a pair of BABY SKATES, engineered to stretch with little ones without compromising fit. 7) Purchasing them for a gift, what size would I purchase for when their little one begins to walk? 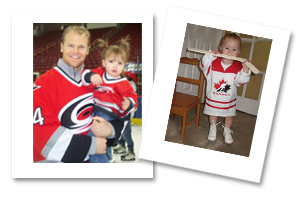 – Many factors can go into this, how big is the baby, how big is the parents, and so on, but usually we recommend a size (4 or 5) If there would ever be a problem as long as they are not worn on the ice or used they can be exchanged or returned. 8) Are BABY SKATES comfortable? – Designed with little ones in mind – super comfortable! BABY SKATES feature a unique (3 - Layer) insole system to keep little feet comfortable and warm. Our lace system lets you adjust how tight and where the most support is needed for your little one. Our outer and inner leather of our ice skate boot keeps little feet warm, is very flexible and is constructed to last. Most little ones do not want to take them off! 9) What size are BABY SKATES available in? – We start off with our smallest a Size 2 and our largest size is a Size 8. 10) Do BABY SKATES feature enough ankle support? – Yes they do. BABY SKATES are deigned and engineered just for little ones to have success and fun out on the ice. They have more than enough support. Our support system eliminates over lacing and creating a restraining or too tight feeling. Little ones love our BABY SKATES so much they don’t like to take them off!